On the 29th (Sat), admire the landmark architecture of Royal Exhibition Building and then examine the collection at National Sports Museum. To see ratings, where to stay, more things to do, and more tourist information, read Melbourne trip generator. Singapore, Singapore to Melbourne is an approximately 11.5-hour flight. You'll lose 2 hours traveling from Singapore to Melbourne due to the time zone difference. Traveling from Singapore in April, expect Melbourne to be cooler, temps between 23°C and 11°C. Cap off your sightseeing on the 30th (Sun) early enough to travel to Port Campbell. Port Campbell is a coastal town in Victoria, Australia. Discover out-of-the-way places like Mait's Rest and Loch Ard Gorge. Explore Port Campbell's surroundings by going to Apollo Bay (Mariners Lookout & Great Ocean Walk). There's much more to do: see the world from above with a helicopter tour, experience rural life at Apostle Whey Cheese, and identify plant and animal life at Great Ocean Road Wildlife Park. For traveler tips, more things to do, and tourist information, you can read our Port Campbell tour planner. Explore your travel options from Melbourne to Port Campbell with the Route module. Finish up your sightseeing early on the 3rd (Wed) so you can travel to Mount Buller. Mount Buller is a town located in the Shire of Mansfield in the Alpine region of the Australian state of Victoria. 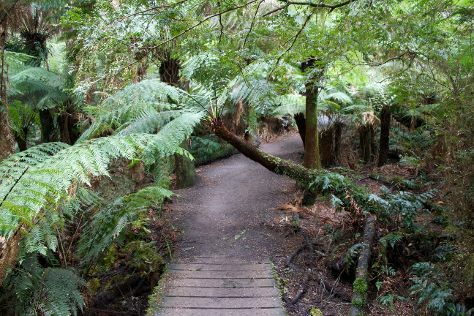 Explore hidden gems such as Canyon Walk and Mt Buller. You'll find plenty of places to visit near Mount Buller: Red Stag - Deer and Emu Farm (in Eurobin) and Bright Brewery (in Bright). To find more things to do, ratings, reviews, and other tourist information, go to the Mount Buller trip builder. The Route module can help you plan travel from Port Campbell to Mount Buller. Finish your sightseeing early on the 6th (Sat) to allow enough time to travel to Cowes. 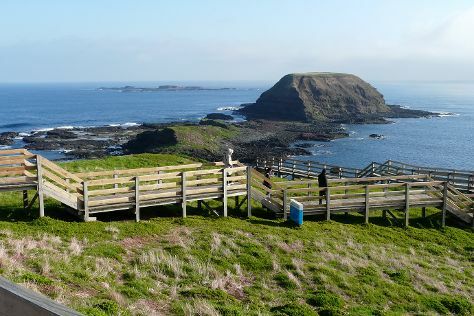 Discover out-of-the-way places like The Nobbies Centre and Phillip Island Wildlife Park. There's much more to do: find something for the whole family at A Maze 'N Things, admire all the interesting features of Phillip Island Grand Prix Circuit, see the world from above with a helicopter tour, and putt your heart out at Grumpys Crazy Golf. To see photos, traveler tips, other places to visit, and more tourist information, read Cowes online itinerary creator. Explore your travel options from Mount Buller to Cowes with the Route module. Expect a daytime high around 20°C in May, and nighttime lows around 6°C. You'll have a few hours on the 9th (Tue) to wrap things up before traveling home.